Suspense's "The Lucky Lady" is a story of theatrical superstition that stars a badass cat named Suzie. The story begins in a boarding house for young actresses where the proprietress, Miss Leonora Plimm, is interviewing a man named George to be their handyman. Despite his lack of references, vague mentions of deceased family members, peculiar demeanor, and his hatred of cats -- the proprietress hires him anyway. The war has created a man-shortage and she has to hire someone to help keep the house together. Her cat, "Lucky Lady Suzie" is unhappy about this. She yowls, spits and hisses her way through this episode with such ferocity that is hard to believe anyone would want to live with such an angry pet. Suzie is considered lucky because struggling actresses who have been given a scratch by her have then become famous. One of the residents in the house, Dianne, receives a scratch and then becomes the "Toast of Broadway." She also dies mysteriously at the height of her fame. "The Lucky Lady" was written by Ruth Vital Nemick and was produced/directed by William Spier. Academy award winning actress Fay Bainter starred as Miss Leonora Plimm. Also appearing were Cathy Lewis as Dianne, Elliot Lewis and Wally Maher. This episode aired on February 14, 1946. The Suspense episode, "A Thing of Beauty," tells of a beautiful London stage actress of yesteryear named Madeleine Tremaine. As the story begins, Madeleine is a recluse who accepts no visitors other than the local vicar, Father Benson. He is soon to retire and Father Benson wants Mr. Sedley, the new curate, to continue to counsel her. So, he has brought Mr. Sedley with him on his fortnightly visit to Madeleine. They arrive at her house during a thunderstorm and sit with her in a darkened parlor. As she reminisces about her career, she tells them about her first stage role. Though she had a small part, Madeleine had upstaged the lead actress, Nell Garrett, too many times by showing off her ankles and performing other distracting "gutter antics" during Nell's scenes. It had all led to a confrontation with Nell Garrett in which Madeleine received a smack in the face. Later that same night, Nell Garrett was found with a knife in her back. Suspense aired "A Thing of Beauty" twice. The first time, June Duprez starred as Madeleine. Herbert Rawlinson, and John McIntire also appeared. The radioplay was adapted from a story by Elizabeth Hiestand and written by Robert L. Richards. Produced and directed by William Spier, this episode aired on December 28, 1944. 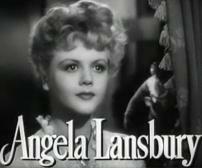 The second time this episode was performed it starred Angela Lansbury as Madeleine. Hans Conried and Cathy Lewis also appeared. The second version includes a few script changes but the story is the same. It aired on May 29, 1947. "Rave Notice" was written for Suspense by James Poe, a scriptwriter who not only wrote intriguing original stories but also successfully adapted other author's works for radio and film. He wrote the radio-plays for a number of notable episodes of Escape including their most famous episode, "Three Skeleton Key," an adaptation from the short story by George Toudouze. Among the episodes he wrote for Suspense, "Never Follow a Banjo Act" and "Rave Notice" stand out as two of the best radio-plays Suspense ever presented. In 1956 he won an Academy Award for his work on the script for Around the World in 80 Days and he was nominated three other times for his work on Cat on a Hot Tin Roof, Lillies of the Field, and They Shoot Horses, Don't They? "Rave Notice" is the story of a struggling Broadway actor named Sam who commits murder after his director replaces him in a play. In order to avoid getting the electric chair, he uses the Stanislavsky Method to act as if he were insane. The glitch is that the doctors who come to examine him turn out to be the better actors. This story was presented three times on Suspense and all three presentations are excellent. Variations in the tone of the story come from the three different actors who played the lead. The first broadcast was on October 12, 1950, and Milton Berle starred in the role of Sam. Berle's maniacal laughter is particularly good and he could be considered the best match to this role. The second time it was presented was on October 21, 1954, and Hans Conried starred as Sam. The third time was on June 1, 1958, and Vincent Price starred as Sam. "The Thing in the Window" is the story of a man convinced that he sees a dead body in an apartment across the street. Try as he might, he can't get anyone to believe him. Obsessed with finding the phantom body, he becomes a terrific annoyance to his neighbors. The radioplay, written for Suspense by Lucille Fletcher, was performed in 1946 and 1949. The first presentation starred Joseph Cotten, and the second Robert Montgomery. There are some minor differences in the scripts and the endings, but both versions are entertaining. When "The Thing in the Window" aired in 1946, it was Joseph Cotten's 7th guest appearance on the series. The "perennial Suspense favorite" would make a total of 17 appearances. At the time, he was promoting his upcoming film Duel in the Sun. Actor, director, and SAG president Robert Montgomery made a number of appearances as well. In 1944 and 1948, he starred in later adaptations of Suspense's premier episode, "The Lodger". Montgomery was also the host of Suspense for a period in 1948 when the show was temporarily expanded to a one-hour format. When he appeared in "The Thing in the Window," he was promoting the movie June Bride. As it turned out, it was his last appearance on the series. It is worth noting however, that his daughter, actress Elizabeth Montgomery, would later star with Suspense's favorite actress, Agnes Moorehead, on the television show Bewitched. "The Thing in the Window" starring Joseph Cotten aired on December 19, 1946. The version starring Robert Montgomery aired on January 27, 1949. Escape's episode "Papa Benjamin" is based on the short story by William Irish (aka Cornell Woolrich). It is set in the French Quarter of New Orleans where a struggling bandleader named Eddie uses a sacred voodoo chant as a gimmick to help save his failing nightclub act. Unfortunately, Eddie doesn't take the threat of a voodoo curse too seriously. This is an interesting story that will keep your attention. There is a moral here about what can go wrong when an artist steals a sacred work from its creators. In this case, Eddie steals then exploits a sacred voodoo chant that he does not fully understand and can not control. In the end, it all kind of backfires on Eddie. The sound effects are good and the music is more impressive than the average episode of Escape. There do not seem to be any actual African-Americans performing in this episode but that is typical of the era in which it was made. This show was broadcast on January 24, 1948. "Papa Benjamin" was also an episode of the television series Thriller in 1961. The short story also appears under the titles "Dark Melody of Madness" and "Music from the Dark". The 1965 horror movie anthology Dr. Terror's House of Horrors used this story as well. As I watched the Grammy Awards show this past weekend my mind drifted to the Suspense episode "Never Follow a Banjo Act." The star of this episode is Ethel Merman, and even if you aren't a big Ethel fan, you will probably enjoy this. She plays Rosie Jones, a singing star of "mature talents," who is asked to work with a heart-throb boy singer named Terry Dane. She accepts but quickly finds out that the deal she made isn't all it is cracked up to be. This episode is surprisingly creepy and dark, and it makes memorable statements about greed, the pop music industry, and "tousled hair". Why hasn't this episode ever been turned into a movie? Suspense broadcast this episode twice. 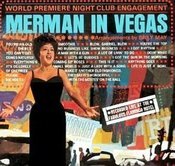 The first presentation starred Ethel Merman on February 4, 1954, and the second starred Margaret Whiting on March 2, 1958. Ethel's is the better version. "Never Follow a Banjo Act" was written for Suspense by James Poe.